Children in Need fundraising record! We have received some great news regarding our fundraising efforts for Children in Need. 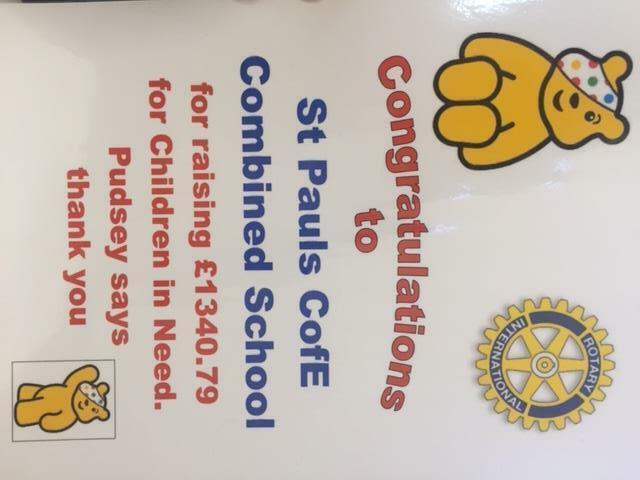 In collaboration with the Rotary Club, St Paul's raised the most cash of all the local schools with an incredible total of £1340.79! Thank you for the Year 6 children for selling the merchandise, organising the competitions and running the cake stall. And thanks also to our generous St Paul's families.